Spartan maintains a modern fleet of tractors and trailers that proudly display the Spartan logo. We strive to provide the best supply chain solutions to our clients that we can. 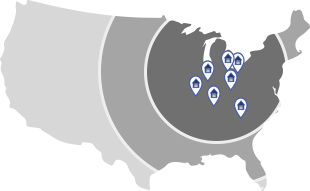 We provide local shuttles and regional freight services for our warehouse customers. We also have convenient freeway access in all cities in which we operate, to minimize transportation costs for freight carriers. As an experienced third-party logistics company, we know when your shipments do not arrive on time, your bottom line suffers. It is that sense of urgency and responsibility toward our customers that has driven us to establish the transportation methods that we incorporate today; transportation solutions that have passed the test of real-world use. The following are a few examples of how our transportation services have been integrated with our warehousing services to optimize delivery runs and to maximize our customers’ convenience. We have a vested interest in bringing you the best modes of transportation services. We want to make it our business to make you successful. 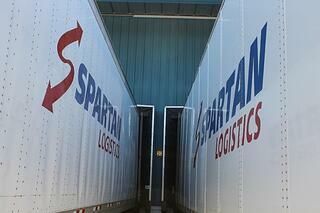 To learn more about Spartan's Transportation and Logistics and Services, contact our sales team.